I now have a finished top for the wedding quilt I'm making for my brother and sister-in-law (never mind that the wedding was almost two months ago). 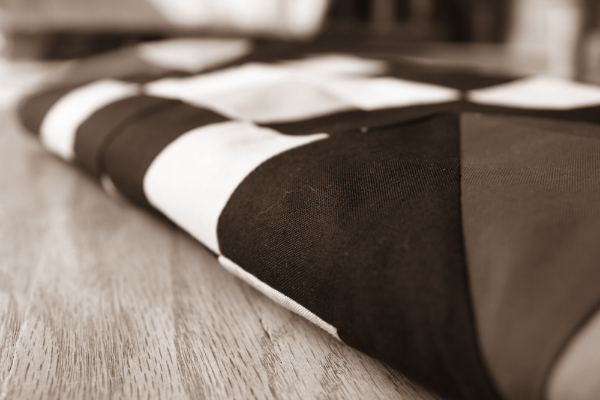 Here's a sneak peek (in black and white) to keep it a secret until the whole quilt is finished and gifted. I also have the blocks made for my addition to Chelsea's quilt for this round of Round Trip Quilts. This round was supposed to finish on June 1, but last round there were a few mailing delays and this round one member is moving so we've agreed to extend the mailing deadline. Good thing, since these blocks are not yet attached to Chelsea's quilt, so I wasn't ready to mail it on time anyway! It's hard to believe there's only one round left and then these quilts will be making their way home. That's it for me this week. What are you working on? It makes me so sad that there is only one round left on your quilt tops! 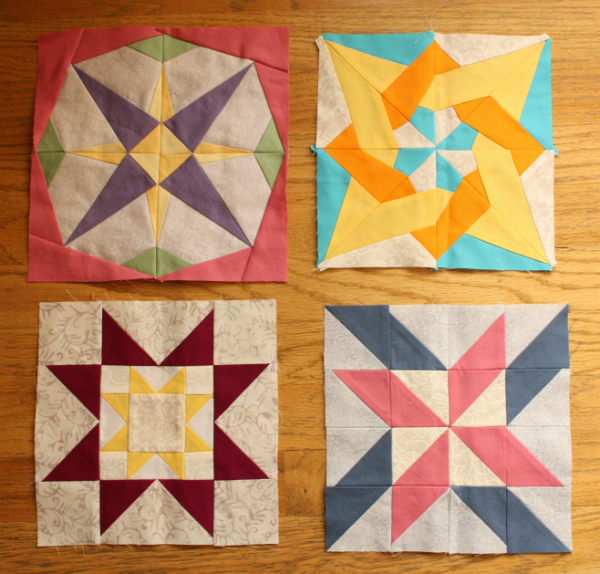 I so look forward to seeing these quilts progress. Can't wait to see your addition to Chelsea's quilt! Those blocks look great! I really love the top left one. And I'm sure your brother will love that quilt! Quilts are such special gifts. love the solids! Looking forward to the big reveal! Those blocks are delicious! Are they paper pieced? Progress is always good. And I loved the sneak peek. Congrats on finishing the wedding quilt, I am sure that no-one but you has paid any attention to the delay! :D so exciting... The black and white version looks good already!! Someday I forgot that you are making us a quilt and each time I remember it's a surprise again.